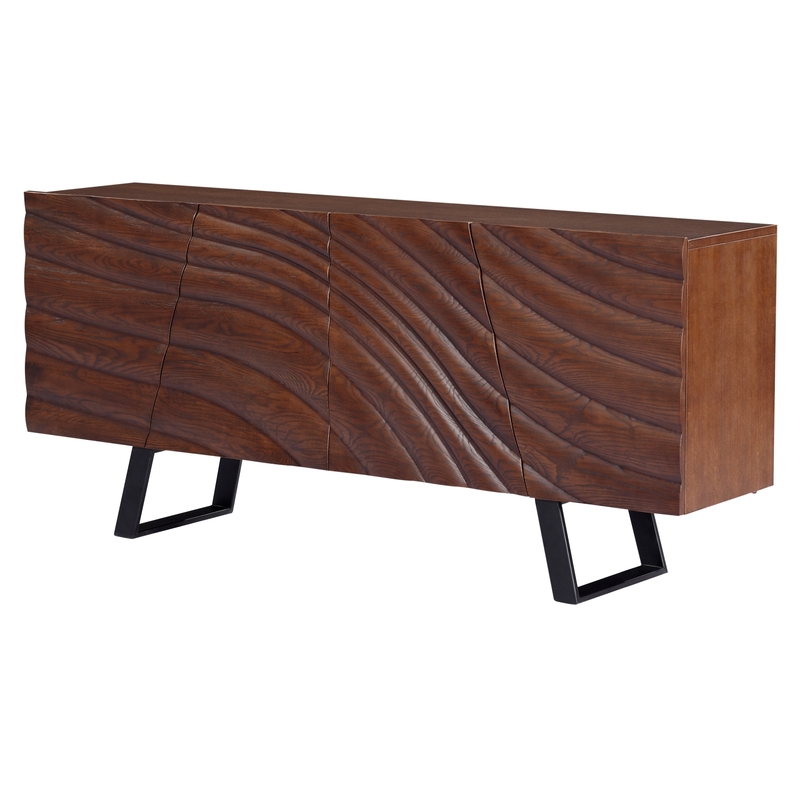 Featuring some gorgeous ornate patterns across the entire design of this sideboard, this piece of modern contemporary furniture is a must-have for your home if you are in need of a stylish solution to your storage problems. Also offering you plenty of tabletop space, this sideboard will make for a wonderful addition to your home and will surely be an instant hit in any room you place it. Stained to a walnut-like shade, the Veneto Sideboard will look beautiful in your home whilst lasting for generations to come.